In 1788, a young Boston heiress named Fanny Apthorp killed herself after giving birth to her powerful brother-in-law’s child. She left a suicide note saying she would rather die rather than face disgrace and abandonment. But the scandal never died. Her suicide note was published in the local newspapers. A young neighbor wrote a novel that was a thinly disguised account of the affair. Unfortunately for Fanny Apthorp, the novel achieved lasting popularity in America -- because it had an American author, an American publisher, an American setting and an American subject. Publishers reprinted the novel, The Power of Sympathy, throughout the 19th century. Today you can read it on Kindle. Sarah and Perez Morton, married in 1781, were a Boston power couple. 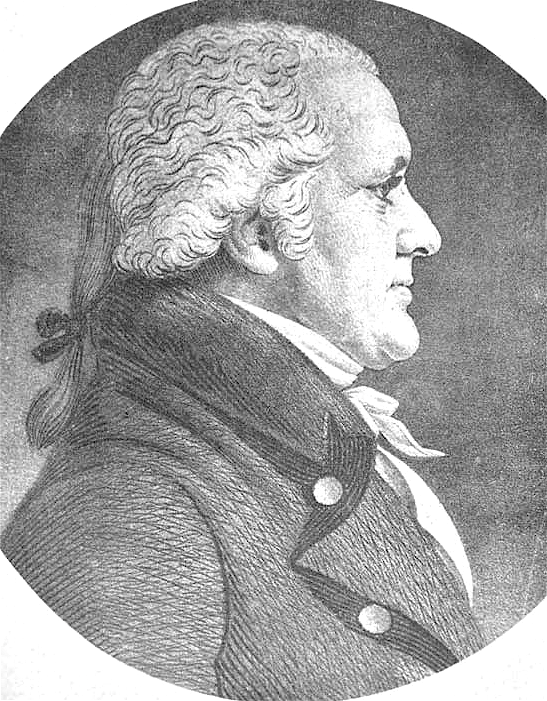 Perez Morton was a Revolutionary patriot, a friend of John Adams, a powerful lawyer and future Speaker of the Massachusetts House of Representatives. 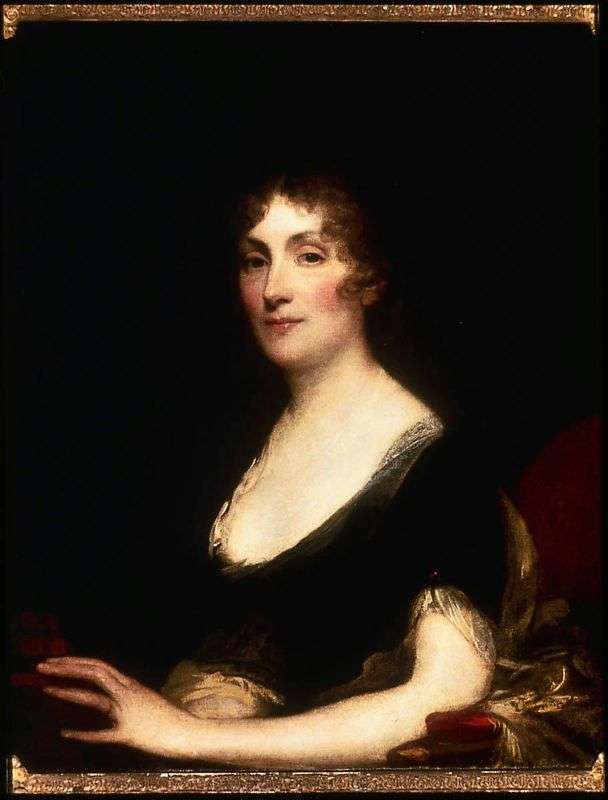 Sarah Wentworth Apthorp was the daughter of Charles Apthorp, one of the richest men in Boston. She also won renown as one of the most celebrated poets of her generation. In 1792 she wrote an anti-slavery poem called The African Chief, something her slave-trading father might not have appreciated. The Mortons lived in the Apthorp family mansion on State Street. Sometime in the mid 1780s, Sarah's younger sister Fanny Apthorp came to live with them. Either Perez Morton seduced her or she fell in love with him, or both. She bore him a daughter in 1787 or 1788. Fanny Apthorp didn't keep it a secret. Betsy Cranch, Abigail Adams’ niece, lived near the Apthorps. She reported in her diary that her friend Fanny Apthorp was ‘very unwell,’ a euphemism for pregnant in those days. 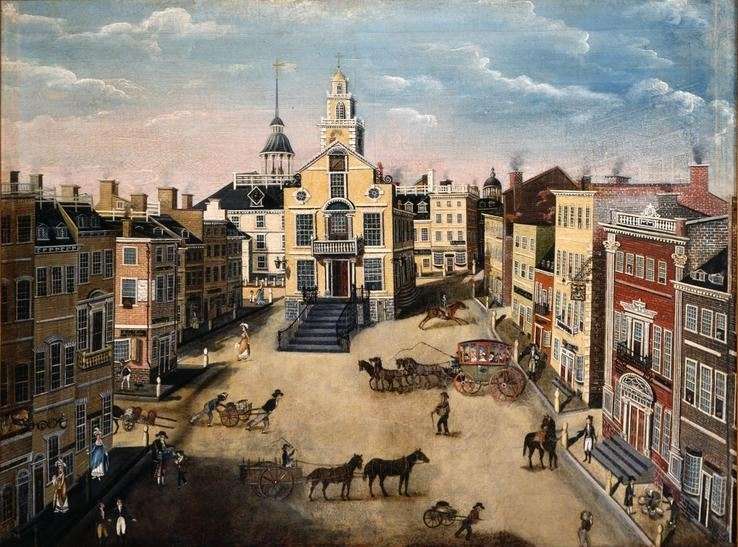 State Street or the Old State House 1801 by James Brown Marston. The Apthorp mansion is the second on the right. Fanny’s father demanded a confrontation with Perez, which Fanny begged him not to do. She argued it would cause a scandal and disgrace the family. Her father ignored her. On Aug. 28, 1788, Fanny Apthorp took an overdose of laudanum and died, leaving a letter/suicide note, now in the possession of the Massachusetts Historical Society. Fanny Apthorp wrote the letter half to herself and half to Perez Morton. She proclaimed her 'guilty innocence.' “I have felt from the first that this matter would go against me, but I have resolved never to live after it has,” she wrote. Boston newspapers published the note, along with the commentary that followed it. Hear of a singular death at Boston--Miss Fanny Apthorpe, by laudanum. Unhappy Girl. As the scandal died down, Fanny and Sarah’s brother challenged Perez Morton to a duel. The two men arrived at the appointed site to find the sheriff had conveniently arrived. He prevented the illegal encounter. On Jan. 21, 1789, Isaiah Thomas printed The Power of Sympathy by an anonymous author. It was a thinly disguised story of the Fanny Apthorp tragedy written by William Hill Brown, the 24-year-old neighbor of the Mortons. Hill probably saw the coaches come and go and heard weeping from the Apthorp house. He probably published the book anonymously because he feared risking the wrath of the powerful Perez Morton. Morton tried to suppress the novel, but failed. Sarah Apthorp stayed with her husband until he died in 1837. Though she had five children during the first six years of their marriage, she had no more that survived after the scandal. In 1850, author Joseph Tinker Buckingham attributed the book’s authorship to Sarah Morton, a mistake later repeated. The novel was later published serially in 1894 and celebrated as the first American novel, again attributed to Sarah Morton. Finally, the real author’s niece came forward and claimed her uncle, William Hill Brown, wrote the book. Scholars unearthed letters and other material establishing that William Hill Brown did indeed write it. No one seems to know what happened to the child of Fanny Apthorp. This story about Fanny Apthorp was updated in 2019. Hhhhmmm my ancestors…. I did not uncover this when I researched them way back in 1974-75 as a high school senior. Guess I did not know how to dig deep. Elaine Apthorp: have you heard of any of this? Thank you for sharing. That is fascinating. Thank you Elaine. I definitely did a ‘C’ job on my research way back then for Mr. Proctor’s U.S. History class! My mother’s maiden name is Apthorp and we are related to the 4 brothers (Chautauqua County 112th Regiment) and cousin Dunkirk (49th Regiment) who died serving in the Civil War. Most probably we are related. If you are interested, we could possibly exchange genealogical information….